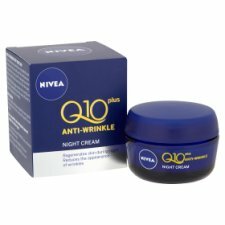 NIVEA® Q10 plus Anti-Wrinkle Night Cream visibly reduces the appearance of wrinkles and helps the skin regenerate during the night - when it is most receptive to moisture intake. Q10 and Creatine are powerful active ingredients found naturally in the skin and with age, their levels decrease. As a result skin is more prone to damage by external influences, one of the main causes of premature skin-ageing. 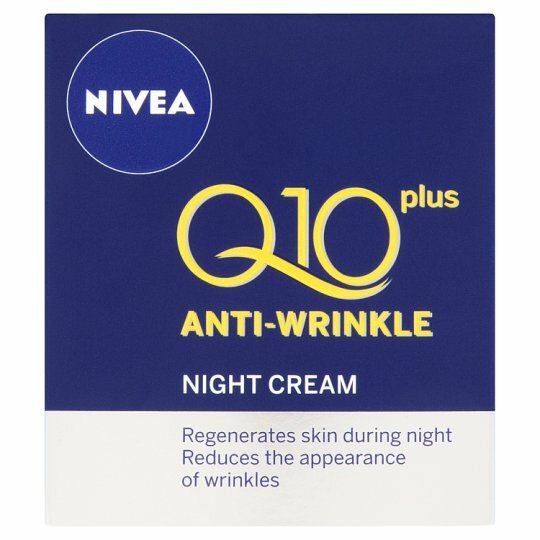 The NIVEA® Q10 plus range contains skin's own Q10 and Creatine in a powerful formula that works effectively to reduce the appearance of wrinkles. Use every night, after cleansing. Apply the cream by gently massaging into the skin, using small upward circular strokes.